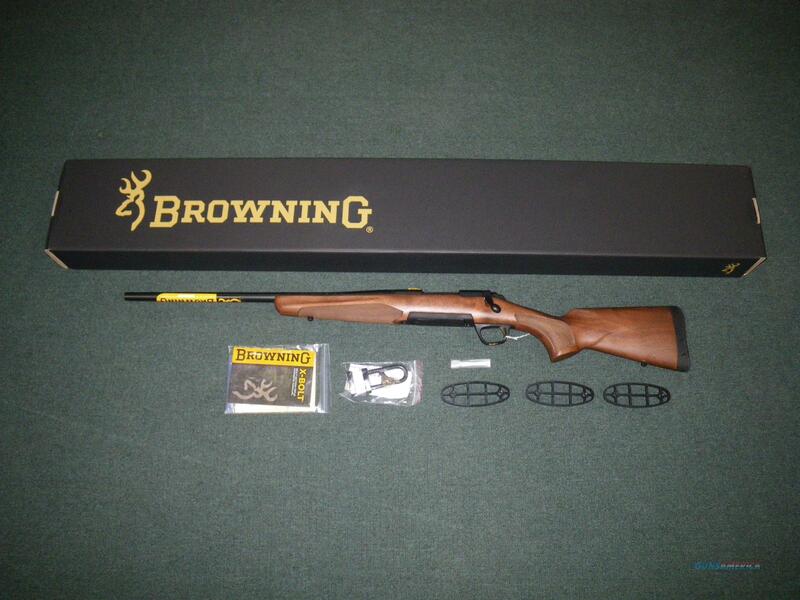 Description: You are bidding on a new Browning X-Bolt Micro Midas left hand in 308 Winchester with a 20" barrel. This is a gun to last a lifetime or to spend its lifetime going from one member of your family to another. But its a Browning so it will last the test of time. The feature list is exceptional: RECEIVER – Steel; Low-luster blued finish; Glass bedded; Drilled and tapped for scope mounts. BARREL – Low-luster blued finish; Free-floating; Hand chambered; Target Crown. ACTION – Bolt action; 60° bolt lift; Adjustable Feather Trigger™; Detachable Rotary magazine; Top-tang safety; Bolt Unlock Button. STOCK – Satin finish Checkered Walnut; Compact 12 1/2" length of pull for smaller shooters. FEATURES – Inflex Technology recoil pad; Sling swivel studs installed. Displayed images are stock photos. Any questions please feel free to ask (our phone number is in the additional information tab above).